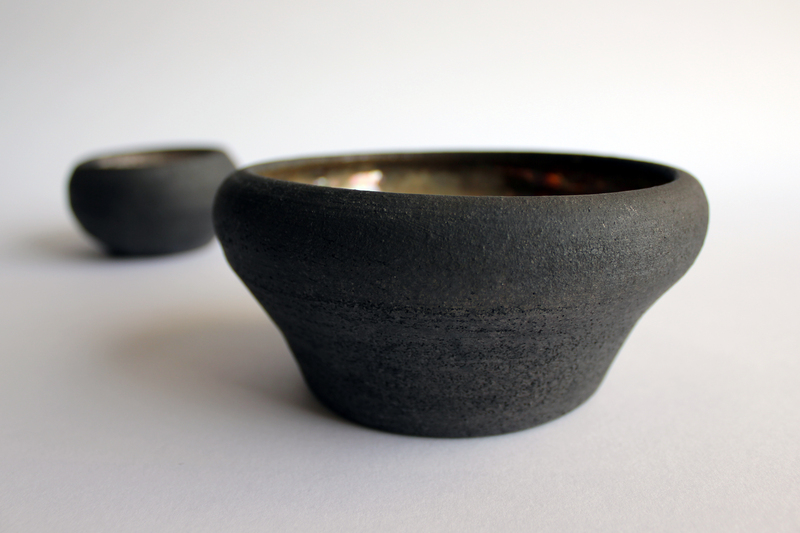 These small bowls were thrown on a wheel and fired using contemporary raku methods, which consist of high-temperature glaze firing and reduction. 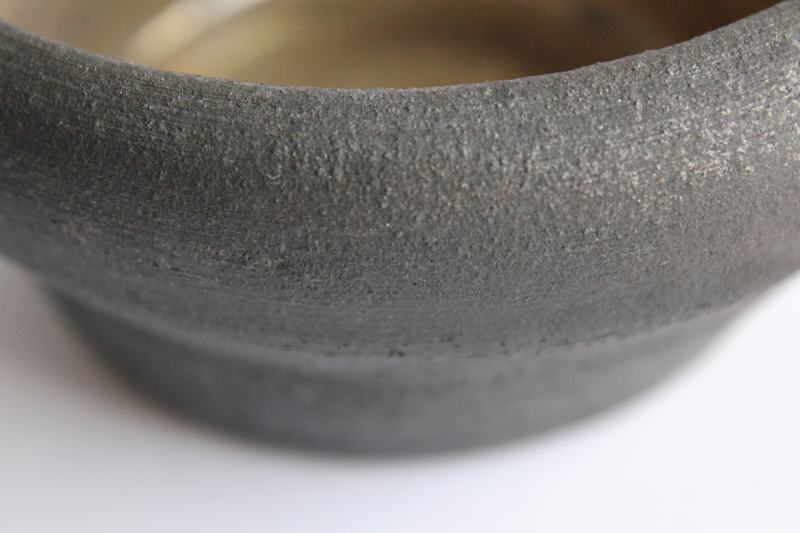 The dark exterior is the natural color of the clay after being fired, having taken in carbon during reduction. 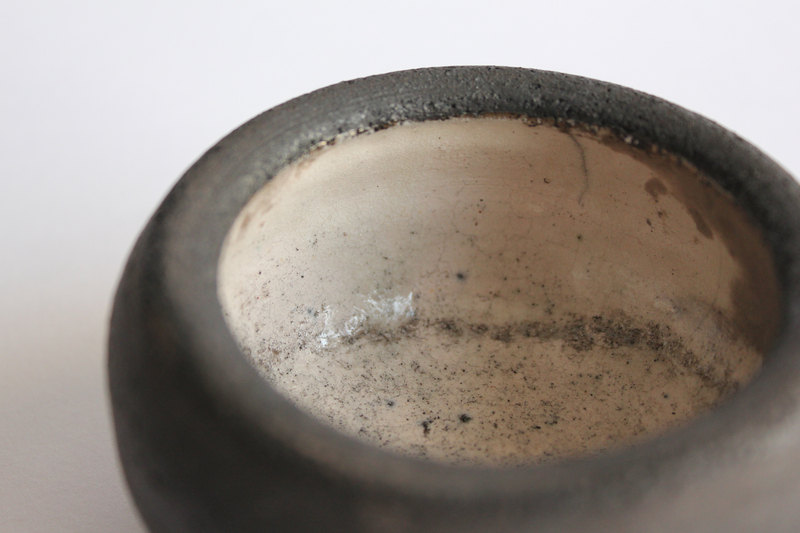 The combustible material used for these pieces was saw dust. 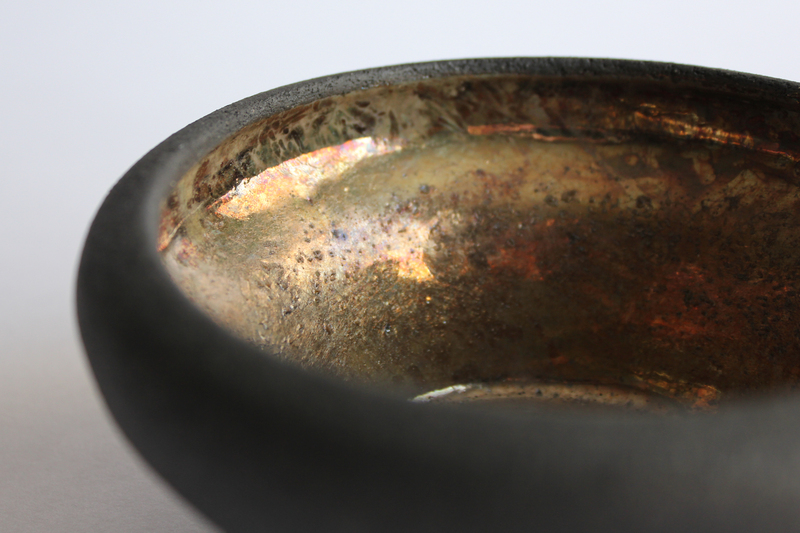 With raku, the end results are often unpredictable due to the erratic behavior of the glaze during firing and reduction — the slight cracks in the white glaze and the color shift in the gold glaze exemplify this unpredictability.